WW Tomorrow has found his forever home in Maderia with Jan and Mark. 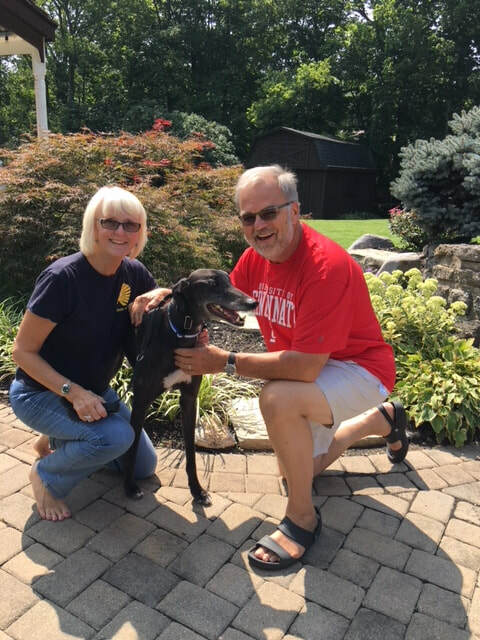 This greyt family has had several greyhounds in their home and recently lost their boy, ZINC. Took time off but couldn't stand not having a GH to be part of their family. They emailed me this am that they decided to adopt JAVA! I went picked him up from his foster home and took him HOME! He will be loved unconditionally and they are already talking about getting him a friend!!! This couple walks to a coffee shop often and plans on taking JAVA with them. Maybe that is why they fell in love was his name!